Although the cherry blossom season has already ended, there are still a lot of special sakura foods and drinks available. Even the Swiss Nestlé company is offering interesting flavors exclusively for the Japanese market, where their chocolate confectionery is very popular. 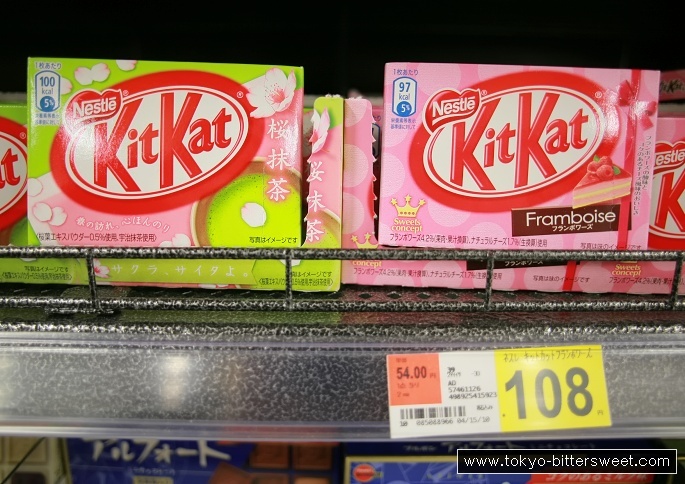 On the left of this photo you see Kit Kat candy bars with sakura & macha tea, while on the right Framboise (raspberry) pie flavor bars are pictured.